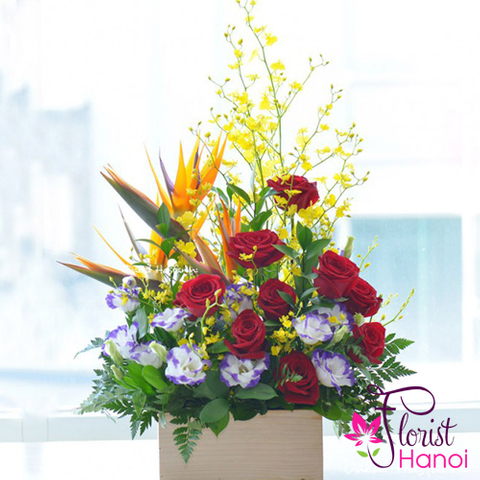 It has been said that love is like a red rose. 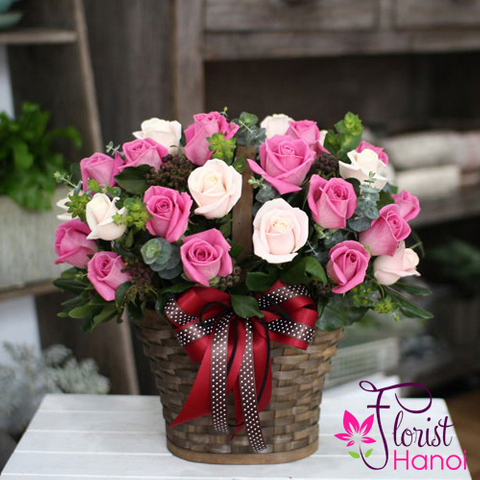 If you are looking to show your romantic feelings to a special someone to do it - with this gorgeous forever love flowers. 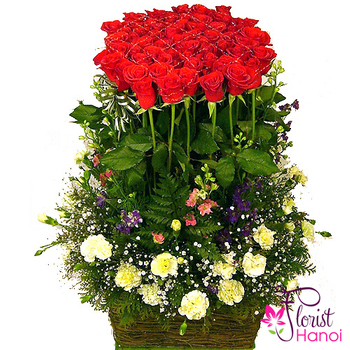 Red roses come accompanied by carnations and seasonal greens. 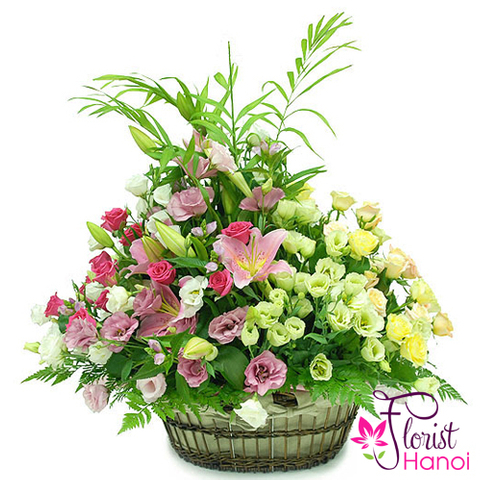 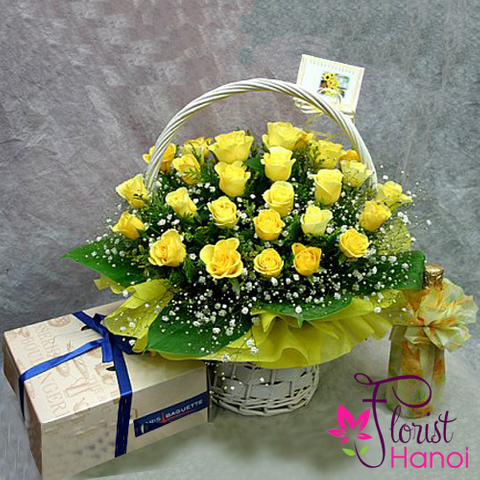 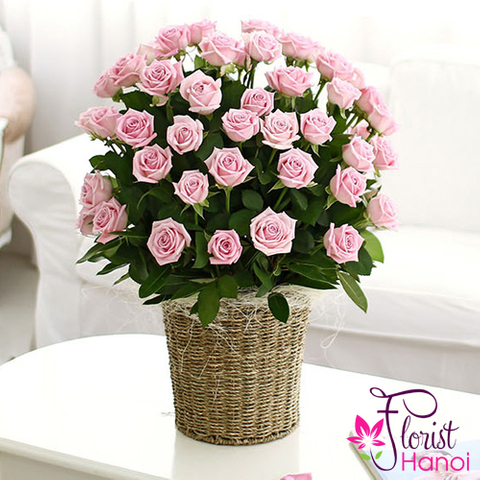 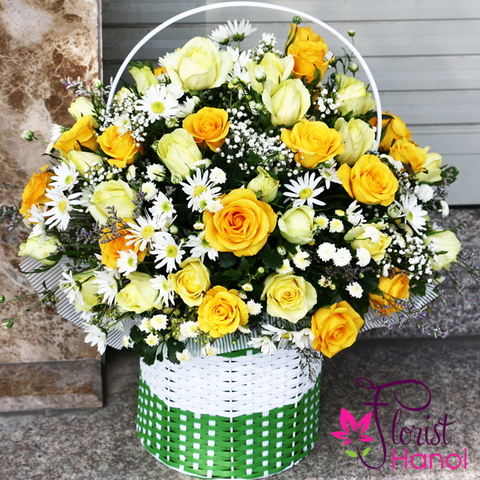 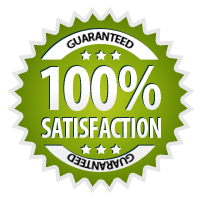 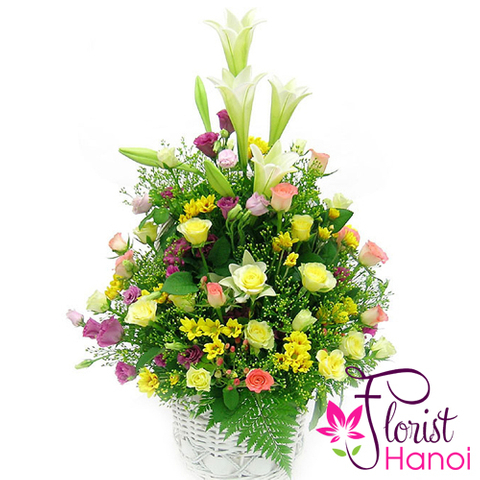 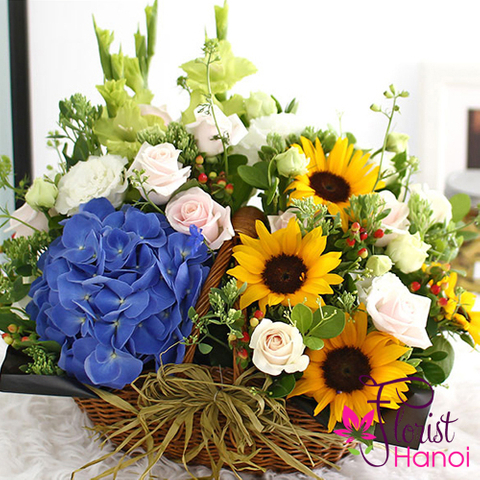 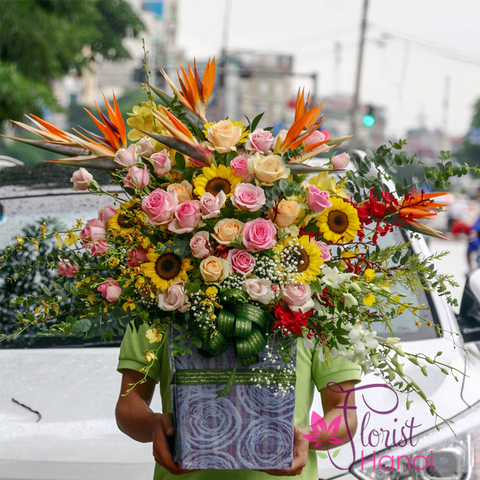 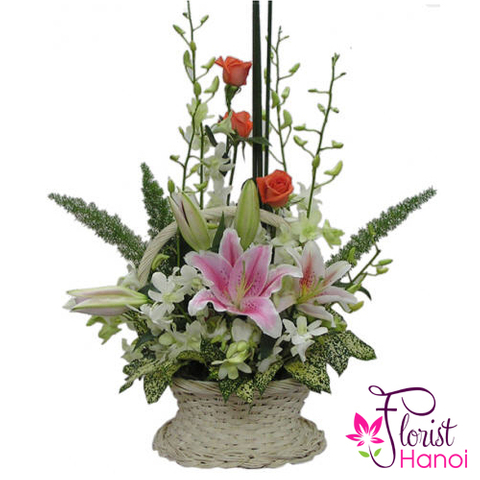 A stunning gift to send with Florist Saigon.